You have to have been living under a rock, which would be extremely unpleasant, to have not realised that England has been experience some extreme heat levels. Highs of 36 degrees, and on occasion hotter than Morocco and Dubai, these are temperatures that we just aren’t use to on our fair isle, and would make even the cast of Love Island jealous! Looking back on the start of this blog post, the analogy of living under a rock is probably not a good one, as I think living under a rock in 36 degrees is certainly noticeable, anyway I digress! This extreme heat means that dressing as a man for the workplace can be extremely tough. Whilst girls parade around a if they have come straight to work from Nikki Beach or the white sands of Mykonos, us gents have to suffer in silence. Now I realise three or four years ago high street retailers tried to help combat this by introducing the short suit, however as smart as they were, they didn’t quite get the acceptance of the populous to become accepted nation wide, leaving us guys forced to wear trousers in the baking heat. 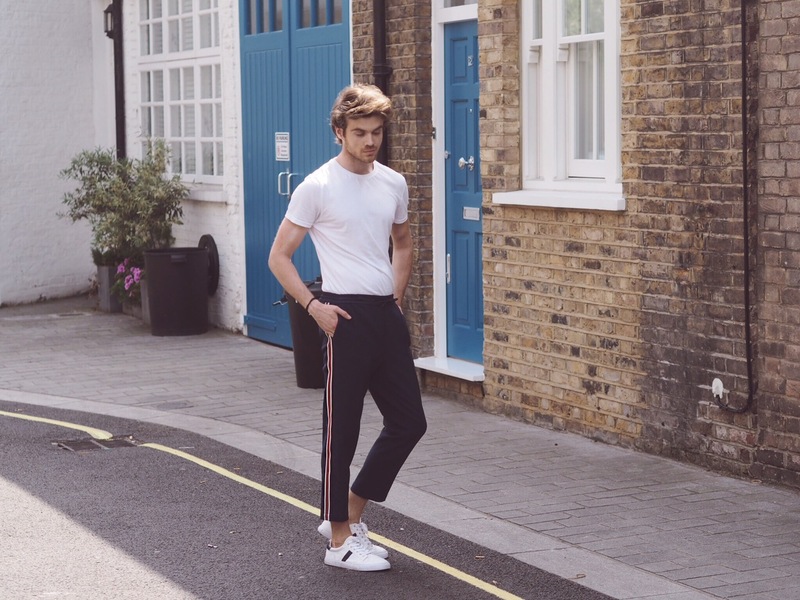 I thought I would pull together a few looks for how you can totally make trousers working these summer months, meaning you look work ready at all times and not a sweaty hot mess. 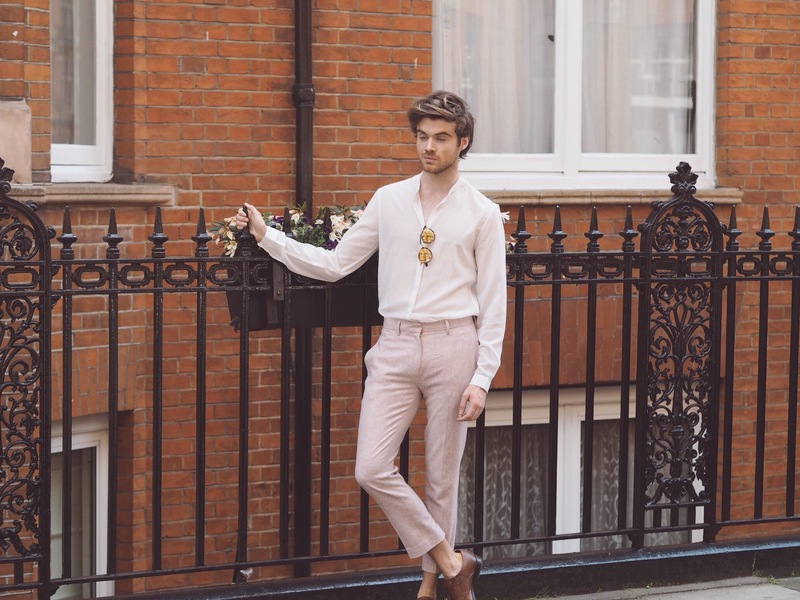 Topman have been one of the leaders of men’s highstreet fashion for the past few years, and so it is no surprise that they feature heavily in this blog post. This summer they released a full range of cropped trousers in an array of textures, styles and colours. Each and everyone one of these is work place ready, whilst being weather appropriate. The first pair here are following this year biggest colour trend for men, which not to blow my own trumpet, I totally called at the start of the year in an earlier blog post! Pink, in all its glory is the colour of the year without a shadow of a doubt, and so these cropped pink trousers will not only make you taking pole position in the fashion stakes at work, they will also provide an extreme modern crisp look. 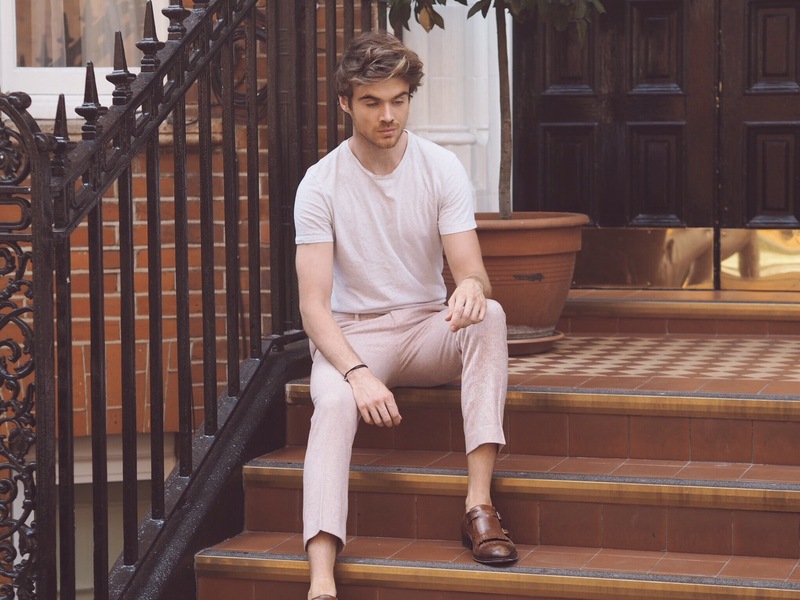 You can dress them up or down as I have down here, working with either a crisp white shirt for formal occasions, and flipping the loop on its head with a basic tee – for once it ain’t so bad being basic! I’ve kept both looks work appropriate by teaming them with simple brown loafers. 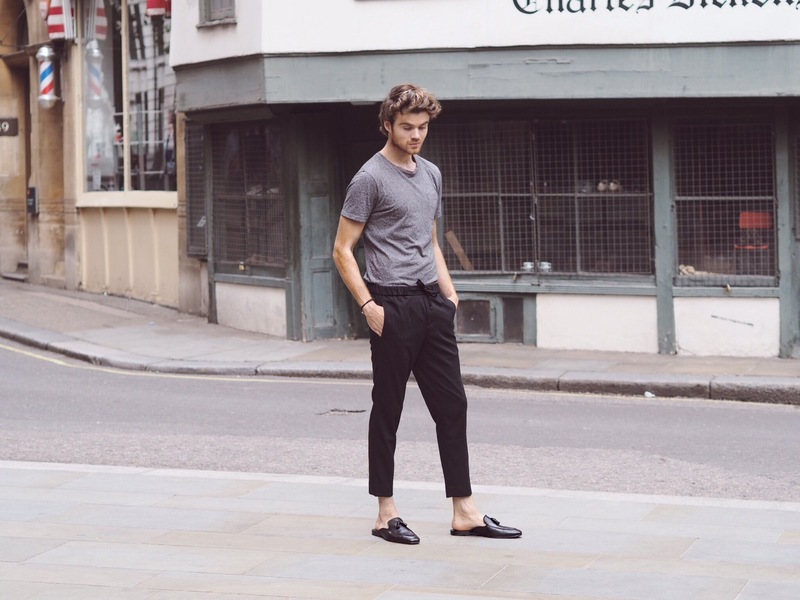 The next pair of trousers that Topman have pioneered this year are the elasticated waist. I know, this might sound something more approximate for Christmas time when your belly is fuller than ever, but actually in these summer months, having the freedom to move around the belly, rather than a tight belt in the heat, is a real blessing. Here are two different examples of elasticated waist trousers, both sharing the same soft cotton material. 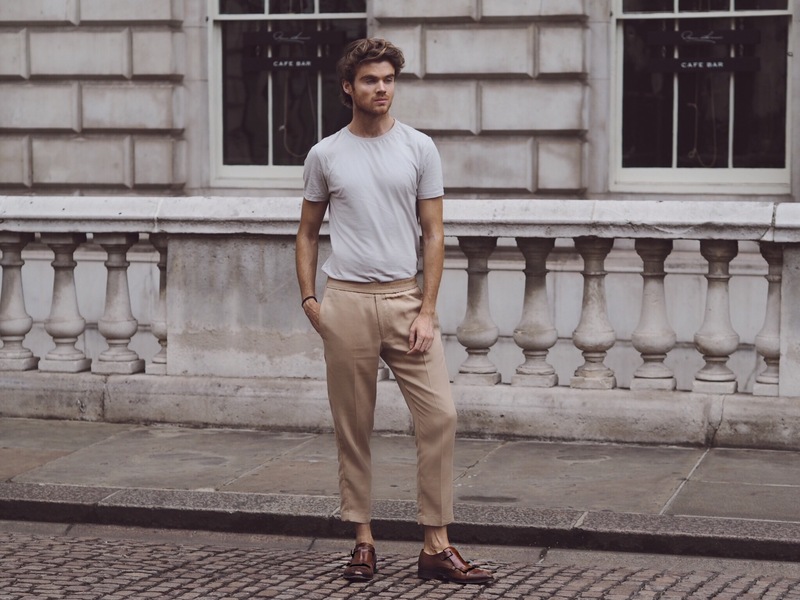 This gentle fabric is perfect for the weather, never overheating your body during the day, while remaining structured enough to not look like a pair of your dads linen trousers. The way that they differ is in the leg style, the black pair follow a classic silhouette while the cream pair embrace another key trend for 2017 – the wide leg. Both can be teamed with simple tees or shirts for the work place, looking smart without having to resort to a skinny jean. Less day to day work appreciate but a definite contender for a dress down Friday are Topman’s smart track suit trousers. Both examples below are more structured than the track suits you would see from your sports vendors while having modern styles through the pops of colour down the sides. Slip on a pair of plimsoles or Stan smiths are you are ready to go! Now granted these will not be deemed acceptable work attire by all companies, but if you are luck enough to find yourself working in the world where men’s bodily tempature is that of a concern to the work place, then embrace the smart tracksuit with open arms! One of the first trends to look forward to is the “pinks”. Ever since the spring 2017 fashion show showcased luxurious pink clothes and accessories, people have been craving that pop of pink in their closet. Smart tracksuit is also the big trend. Really like your post.